The Joker origin movie has found its Thomas Wayne. Originally, the role was supposed to go to Alec Baldwin, with the character being described as a tanned 80s businessman in the vein of a younger Donald Trump. That made Baldwin’s casting pretty logical, considering his portrayal of Trump on Saturday Night Live recently. However, Baldwin quickly departed the project, citing scheduling issues. We now have word that actor Brett Cullen has been tapped as his replacement. 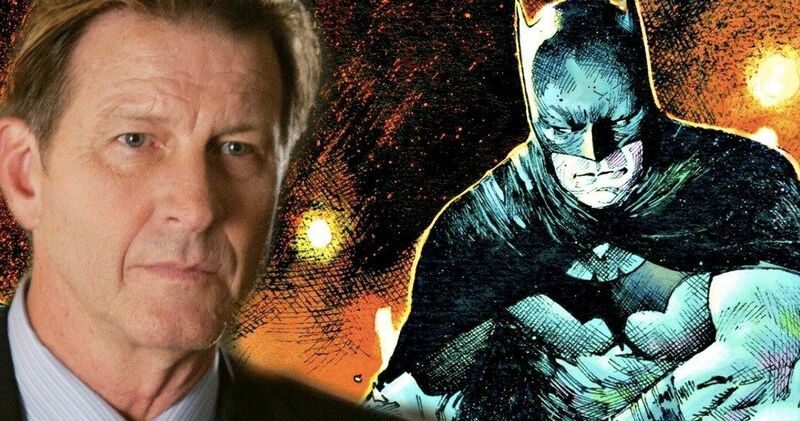 Multiple reports have confirmed that Brett Cullen will indeed play Thomas Wayne. In the world of DC Comics, for those who may not be familiar, Thomas Wayne is the father of Bruce Wayne, the boy who ultimately grows up to become Batman after his parents are gunned down in an alleyway. This news comes just as production on Joker recently got underway. The movie stars Joaquin Phoenix as a man named Arthur Fleck who becomes the famed villain, with director Todd Phillips revealing the first look at the Oscar-nominee in character over the weekend. As for Brett Cullen, he doesn’t come with the name recognition that Alec Baldwin does, but the man does come with a lot of experience. Cullen has starred in a ton of TV shows and movies dating back to the early 80s and he’s no stranger to comic book-related projects. The actor had parts in both the Nicolas Cage Ghost Rider movie and director Christopher Nolan’s The Dark Knight Rises. Some of his noteworthy TV credits include Damages, Under the Dome, Lost, Person of Interest and the Netflix drug cartel series Narcos. Not for nothing, but one of Cullen’s first credits was on an episode of The Incredible Hulk TV series in 1981. At the present time, story details for Joker are largely being kept under wraps, but it’s going to provide an origin story for the character, which is something he doesn’t definitively have within the world of DC Comics. The movie will be taking inspiration from The Killing Joke, but won’t be a direct adaptation of that material. With that in mind, it’s difficult to say how significant of a role Thomas Wayne will have in the movie. But the fact that he’s being included at all is intriguing. One has to wonder if that means we’ll also be seeing a young Bruce Wayne show up as well. For the time being, that remains a mystery. This movie will not take place in the already established DC movie universe. Instead, it will stand on its own and can, as a result, tell a much less restricted story. The rest of the cast includes Zazie Beetz, Marc Maron, Frances Conroy and Robert De Niro. Joker is set to hit theaters on October 4, 2019. We’ll be sure to keep you up to date as more details on the project are made available. This news was first reported by Comicbook.com.